If you’ve accidentally recorded a video in the wrong orientation on your iPhone – portrait instead of landscape, for instance – all is not lost. We show How to rotate a video on iPhone the image using iMovie on iOS. It can be a heart-sinking moment. You’ve captured that precious moment forever on your iPhone, but when you go to play back the recorded video you find, for some unknown reason, it’s sideways. This could be due to holding the phone at a certain angle as you hit the record button, or the curse from the old gypsy woman you wronged, either way it needs fixing. Thankfully, this is a reasonably straightforward process. All you need is the iMovie app, two fingers, and a few minutes. In this article we show you how it’s done. 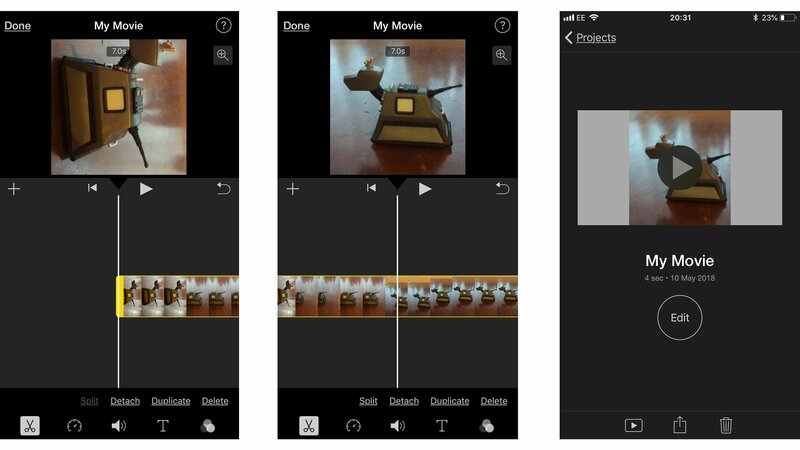 One foolproof way to edit your clip is to use Apple’s own iMovie app. It’s free and works with iPhones back to the 5s model so long as you’re running iOS 11. To rotate the clip, you’ll first need to open it in iMovie. Go to the app then tap the Projects option at the top of the screen. Tap the Create Project button, then select the Movie option. 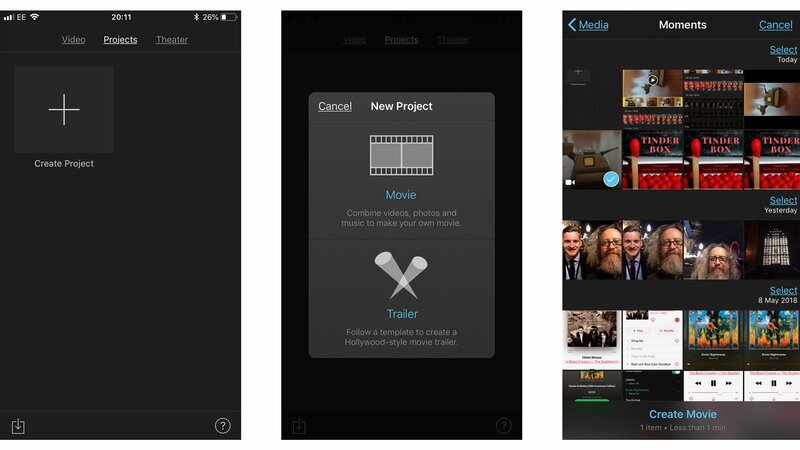 iMovie will now open up your camera roll. Find the clip you want to edit and tap on it so that a blue tick appears in its bottom-right corner. Tap on the Create Movie option at the bottom of the screen. You’ll be taken to a new project page next. This will include your recording in a play window at the top, plus a timeline underneath. Tap on the timeline clip and the outside of it should turn yellow. Now place two fingers on the larger version of the recording above and turn them either left or right to rotate the frame into the correct orientation. Don’t worry if you mess this last stage up, as you can continue rotating it until you have the recording in the right alignment. Tap the Done option in the upper-left corner and you’ll see the clip in the centre of the screen with My Movie underneath. The final step is to export the file back to your camera roll so you can share it on social media or through any other medium. To do this, tap the Share button at the bottom of the screen (it’s the square with an arrow sticking out of the top) then choose its destination. That’s it. Your video should now look the way you intended it in the first place, and no one will be any the wiser. If you just want to create short videos to share with friends, then you should also check out Apple’s Clips app.